Find the best apps, Casinos, and tips to play mobile Blackjack for real money! Blackjack is, hands down, the best Casino game you can play for real money. Unlike Slots or Roulette, it’s not only a game of chance. You can use various tips and strategies to your advantage. And nowadays you don’t need to belong to the MIT Blackjack team, know how to count cards, or fly to Las Vegas Casinos to play it for real money. 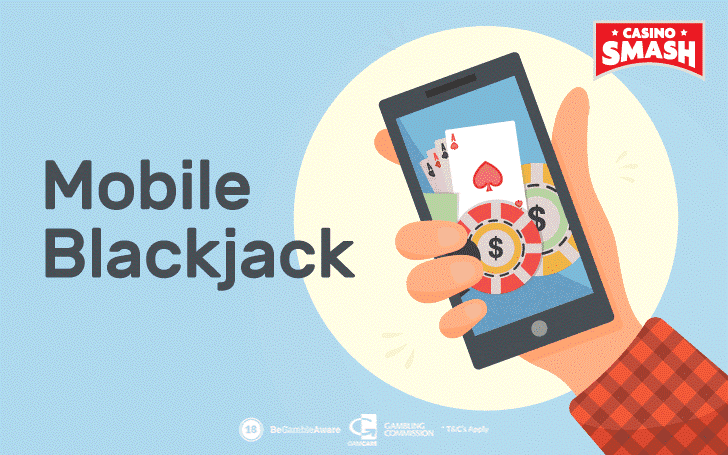 You can do it all online or on your smartphone or tablet with one of the great mobile Blackjack Casinos available in 2019. Where to find the best mobile Blackjack games? What Blackjack apps for iOS and Android work best? Which mobile Blackjack Casinos have the best live dealer tables? How to use strategies while playing on your mobile device? ---that and more in this article. Today’s technology enables playing online mobile Blackjack games in many ways. You can visit online Casino via your mobile browser and play the games in an instant - no download is necessary. Though, having an app of your favorite online Blackjack Casino may be a better option. Especially if you don’t like switching from Casino to Casino too much. 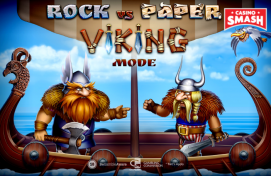 Which one do you prefer: playing via browser, Android app, or iOS device? Find the best Casino apps and sites here. iOS and Android devices are leading the market, so best Blackjack Casinos create apps for both operating systems. Windows, Blackberry and other mobile OS users are a tad bit less lucky. But hey, if you want a quality OS, cannot satisfy everyone. Same goes for the best Blackjack apps. Blackjack mobile game that is best for me, won't necessarily be best for you. Maybe you prefer a bonus over the variety of games. Or live dealer games over the online Blackjack tables. Thus, you can find short Blackjack app reviews and what each Casino is best at below. Both best Blackjack apps for Android and best Blackjack apps for iPhone and iPad (iOS) included. It will help to make the choice most fitting your Blackjack preferences (and the operating system of your device). Important: Some of the mentioned apps are not available on Google Play or AppStore. And some have fake replicas for download on app stores. Make sure to visit the websites of mentioned Casinos first to download the official apps. Why Casino.com? With a domain name like that, you’re bound to be huge. And Casino.com is nothing but. It's one of the highest rated Casino apps on AppStore (4.9/5) and not much behind on Google Play (4/5). And it's definitely a Casino app worth your attention if you love Blackjack. And even more so, if you happen to live in the UK. Apart from mobile Blackjack, you can play more than 1,000 Slots and Live Casino games, too. Players admire the loyalty points system which awards you extra points for playing. You can use your points later to get cash bonuses. Downsides: Live Chat Support is not available (only email and phone calls). Welcome bonus: 100 percent up to £100 and 200 free spins. Why Mr Green? Mr Green is a simple yet charming online Casino. It’s not boosting with huge bonuses or thousands of games. But the Casino has quality like no other. And dozens of internationals awards prove it. Mr Green has been winning IGA awards for the last six years now. And acclaimed socially responsible operator, mobile operator, and online gaming operator titles. The Casino offers all kinds of games for players. Including a wide selection of mobile Blackjack. The games are available to go straight from the mobile browser. Also, there are iOS and Android apps available for the download. Downsides: Games are only available after registration. Welcome bonus: 100 percent up to £100 on deposit and wager of £20+. Why Unibet? Unibet Casino is a famous brand all over the world. It’s mostly known as bookmaker but also has a strong Casino scene. And special iPhone and Android apps for Casino games fans. Unibet’s Blackjack collection features the industry-leading live dealer games by Evolution Gaming. The bets start at £1 and mobile Blackjack games from £0.10 per wager. Also, you can join Blackjack tournaments during weekends and share a prize pool of £250 and more. Welcome bonus: 200 percent up to £200. Why Blackjack 21: Blackjackist? It is the ultimate app to play for the US players. It’s legal in the US, free to download and play, you get regular bonuses every few hours, and you can create private Blackjack tables to play with your friends! Let’s be honest, most of the real money Casinos don’t even have this option. Just like any other gaming app, Blackjack 21: Blackjackist offers in-app purchases. So you can buy more chips for the games or lottery tickets. But you can always claim enough chips for playing from the bonus offers available. Welcome bonus: 7,000 free chips. Don’t want to take up too much space on your smartphone or tablet with Casino apps? No problem! Visit these Casinos to play mobile Blackjack games from your browser. No downloads are necessary. Why Jackpot Cty Casino? Jackpot City is the place to be if you want to experiment with your Blackjack games. They offer mobile Blackjack platforms by different developers. And a wide selection of Blackjack variants, too. And while Jackpot City doesn’t have apps for iPhone or Android yet, you can play all the games from your mobile browser. Only need to complete the registration first. Downsides: not available for the UK players, games are available only after registration. Welcome bonus: 100 percent up to $400. Why PlayAmo Casino? Unlike Jackpot City, at PlayAmo you can play all the games online, completely for free. No need to sign-up. Also, no hassle downloading any apps. All the mobile Casino games are available to play from your mobile browser. Sure, the game variety may not be as big as JackpotCity Casino, but they have all the important games, including American Blackjack, Double Exposure version, and Pontoon. Did you know? You can play most of PlayAmo Casino games with Bitcoin or other crypto-currencies. Blackjack BTC games included. Downsides: not available for the UK players. Welcome bonus: 100 percent up to €100 and 100 free spins (bonus code: FIRSTDEP). If you've been reading so far, you know where to find the best mobile Blackjack games for Casino players. But what if you prefer Live Blackjack games, involving an actual live dealer? Don’t panic - best Live Blackjack Mobile apps and Casinos are here and you can take your pick. Why 888casino? You will want to play live dealer Blackjack at 888casino if you prefer to play with low stakes. Evolution Gaming powers the games and cheapest tables open from £0.50 or £1 per bet. 888casino excels at Live Casino games. They have exclusive 888 VIP games, including private ones. And more than 50 Live Blackjack tables to choose from. Did you know? 888casino also has an exclusive Casino app for players in New Jersey. You can play 888casino Live dealer games from a mobile browser and there is also a 888 app for iOS and Android that you can download. Downsides: Live dealer games are only available when playing for real money. Welcome bonus: Free £88 on the sign-up, no deposit needed. 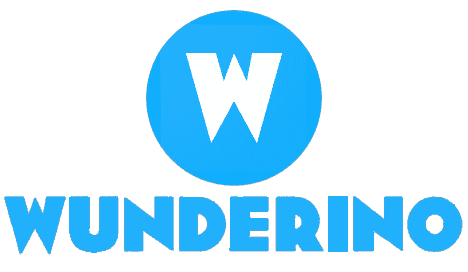 Why Wunderino? If you’re not afraid to raise the stakes, most of Wunderino live Blackjack tables accept bets starting from €10 to €25. And bets can go all the way up to €2,500 per round. There are also many Live Blackjack tables available, including 27 tables of Classic Blackjack. Why so many? Well, spend a few minutes at Wunderino Live Casino lobby and you’ll see they fill up really fast. You can join some of the Live Blackjack games via your mobile phone or tablet. Also, you can always play mobile Blackjack without the live dealer. Wunderino has plenty of options for that, too. Downsides: not available for the UK players, Live dealer games are only available when playing for real money. Welcome bonus: 100 percent up to €100 and 30 free spins. Why Betfair Casino? Finding a good Casino bonus for Blackjack, let alone Live Blackjack, is extremely rare. Most bonus offers focus on games where players cannot use strategy or advantage play to win. Usually, a Slots bonus is best you can hope for. Thus, if you prefer to play Live Casino games and about now could use some bonus money, make sure to check Betfair out. They have Live Casino app available and pretty neat bonus: 100 percent up to €/£100. Exclusively for Live Blackjack and Live Roulette games, no less. Downsides: Online Casino and Live Casino are two different apps, mentioned welcome bonus is valid for UK and Ireland players only. Welcome bonus: 100 percent up to €/£100. It’s no secret that the most read section on CasinoSmash is games strategies and tips. Especially, Blackjack ones. So, it doesn’t come as a surprise that players who are learning strategies are interested whether they can use Blackjack strategies while playing mobile Blackjack. You can either learn the basic Blackjack strategy, card counting, or download Blackjack Cheat Sheet. Then have it in your files on smartphone or tablet for a quick reference during the mobile Blackjack. The more you refer to it, the quicker you’ll remember the strategy. And cut your losses when playing mobile Blackjack for real money. Moreover, you can always try new mobile Blackjack variants for free on sites like PlayAmo Casino before you play real money games. 'Practise makes perfect' may be a cliche, but it's also a fact. Win a Share of 5,000 Free Spins and €3,500 EVERY Monday!